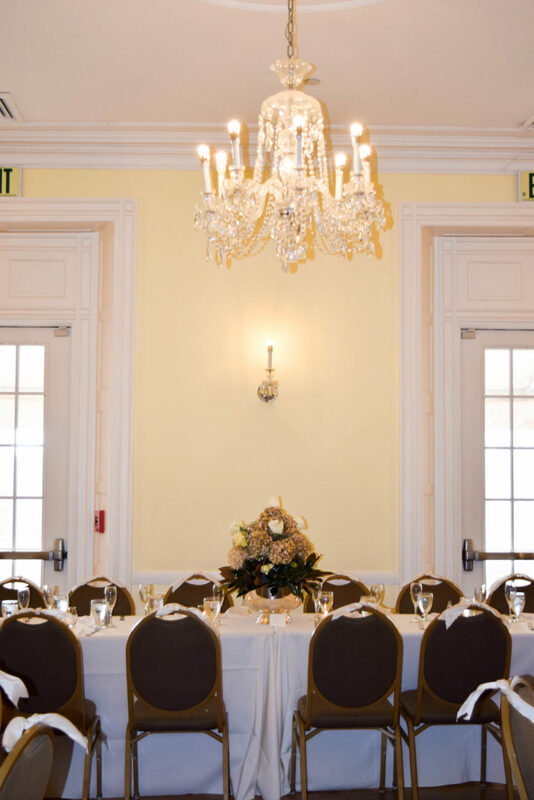 Mike and Carroll celebrated this past New Year’s Eve in a very big way…they held their wedding at the Historic Oakland Mansion in Columbia Maryland. 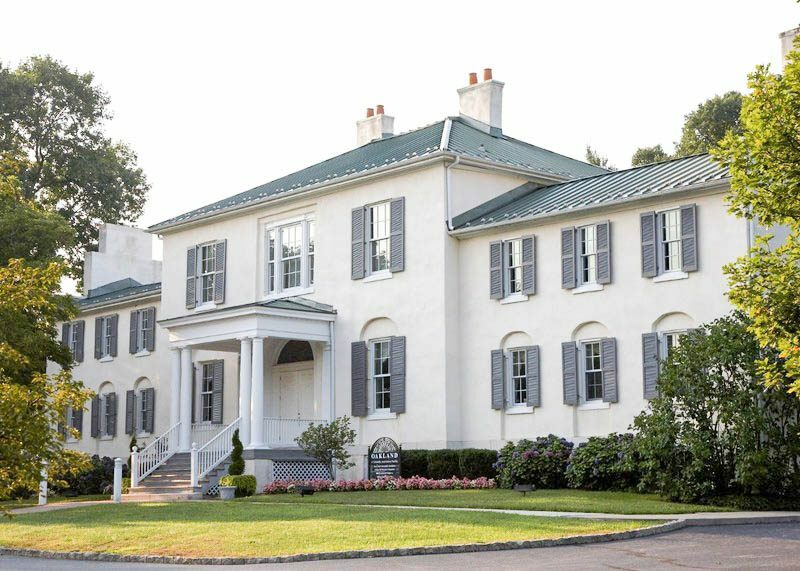 Built in 1811, Historic Oakland is truly one of the most beautiful and historic wedding venues in Howard County and the perfect setting for an intimate wedding for 80 guests. 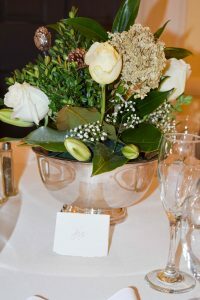 Although the thermometer read 34 degrees and the wind was gusting, the sun was shining and the couple went ahead with their plans for an outdoor ceremony. 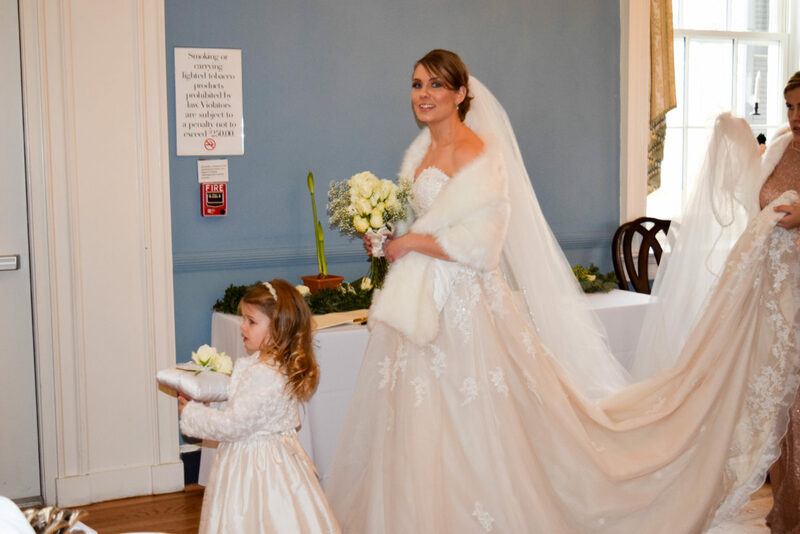 The bride kept warm with a beautiful fur stole and the bridesmaids sparkled in sequin dresses perfect for a New Year’s Eve wedding. Following the ceremony guests were invited back inside Historic Oakland Mansion for a delicious Putting on the Ritz brunch wedding reception. 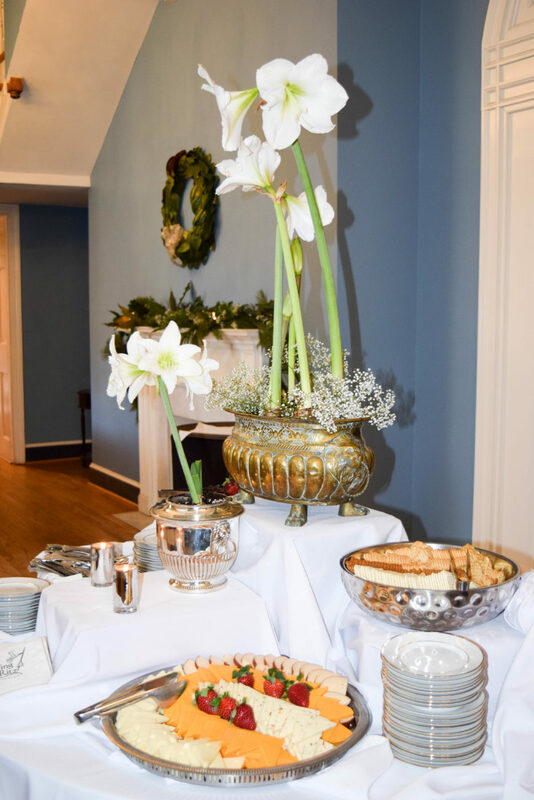 On the veranda, the buffet included scrambled eggs, applewood smoked bacon, maple sausage, home fried potatoes and biscuits. Guests also enjoyed a chicken and waffle station complete with country breakfast gravy and grand marnier syrup, Putting on the Ritz’s twist on a brunch favorite. 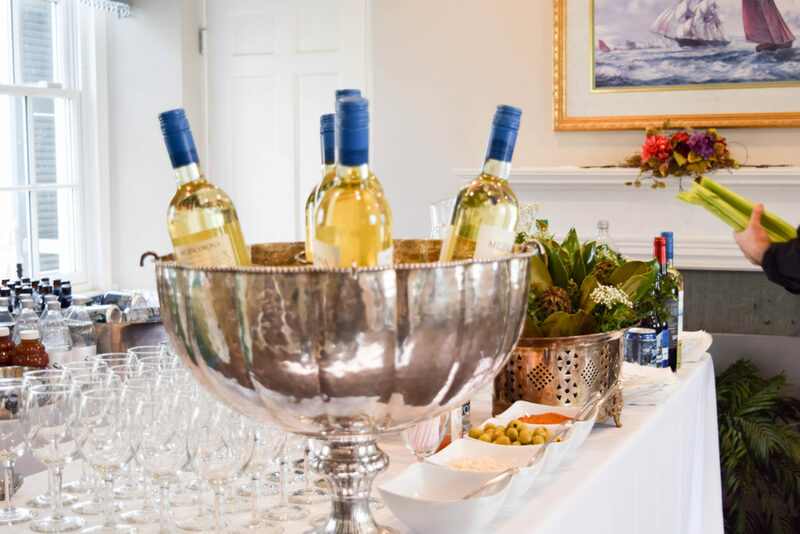 Mike and Carroll provided their own alcohol, which Putting on the Ritz’s bartender served in the library. 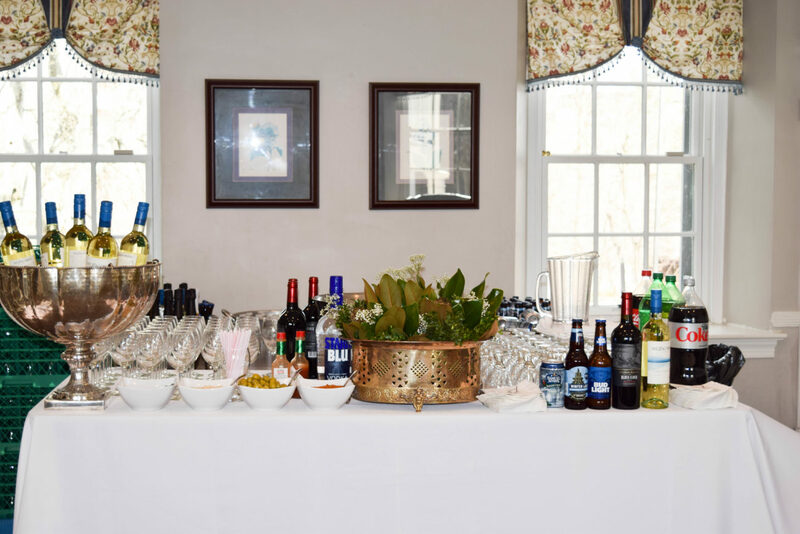 We also included fresh horseradish, Tabasco and old bay seasoning for the bloody marys so that guests could spice things up a bit! Just outside the ballroom, the live band played as the happy couple danced their first dance as husband and wife. Mike and Carroll had a small cake which they cut for photographs and their guests enjoyed a variety of miniature cupcakes later in the afternoon. 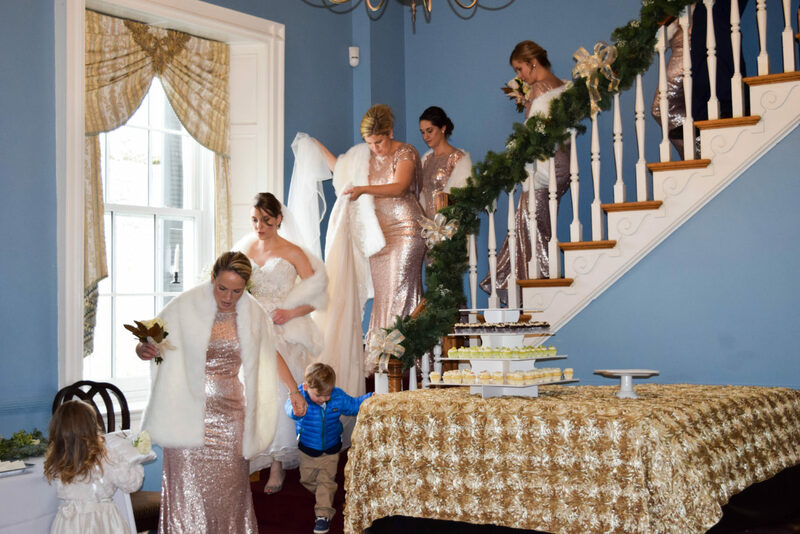 Historic Oakland Mansion was decorated beautifully for the wedding with elegant wreaths hanging over the fireplaces, garland and white lights with ivory satin bows on the staircases and the guests tables were adorned with stunning centerpieces with shimmering gold hydrangea. Everyone truly enjoyed sharing this special day with Mike and Carroll. I am sure the happy couple will be carrying with them fond memories of the afternoon long into the future. On behalf of the Putting on the Ritz team, we wish them many years of health and happiness.